If they’d wanted to, Disney could very easily have put out a pretty straightforward, unremarkable film recounting the making of Mary Poppins and most likely have had a success on their hands, simply on the back of the popularity of the eponymous flying nanny and her musical exploits. It’s therefore a real pleasure to report that Saving Mr. Banks is anything but unremarkable, and in fact emerges as one of the cinematic highlights of last year. Essentially creating a two-pronged biopic, director John Lee Hancock seamlessly interweaves the experiences of Poppins author P.L. Travers (Emma Thompson) working with Disney in the 1960s with her childhood growing up in Australia some fifty years before throughout his film in expert fashion. Both narrative strands are developed in pleasing detail, giving the director a foundation of both superior craft and depth to build the film around. Mary Poppins’ lasting appeal arguably lies in its expert blending of some really quite serious themes - most prominently that of absent parents - with a lighthearted tone and some brilliant tunes. 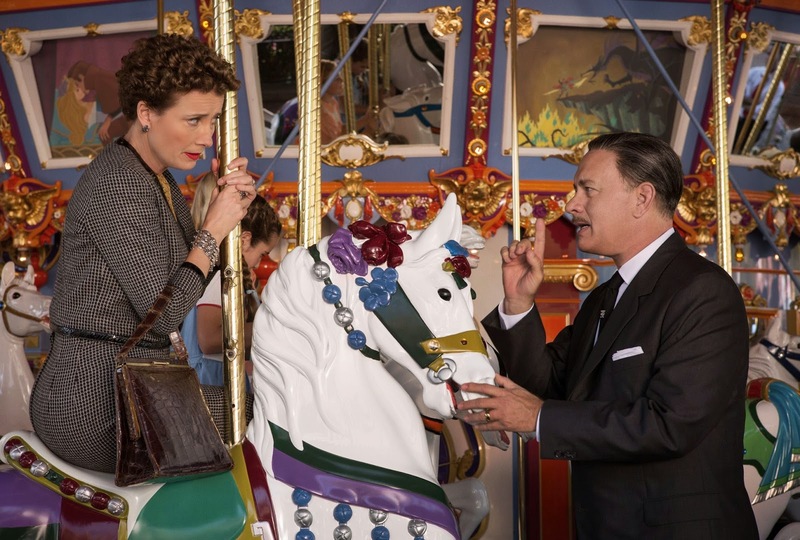 Half a century on, Saving Mr. Banks achieves the same balance in an incredibly satisfying way. This is a film with genuine laugh-out-loud moments as well as scenes of raw, authentic emotion. Never do these two elements feel at odds with each other, Hancock instead achieving that rare and satisfying feat of balancing the two perfectly to make his film an experience both richly emotional and purely entertaining. It’s largely down to Thompson on screen that Saving Mr. Banks achieves this equilibrium. Her performance as Travers is note-perfect, coming across as part no-nonsense firebrand, part insecure and isolated woman in a male-dominated world, with just the right amount of Mary Poppins-like mannerisms sprinkled on top. Leading the support, Tom Hanks as Walt Disney himself is reliably excellent, inhabiting the role in an understated fashion and never turning the famous animator into a cartoon. The Disney Studio staff is filled out admirably by the likes of B.J. Novak, Jason Schwartzman, Bradley Whitford and Paul Giamatti, all putting in excellent supporting turns that will make you wish they only had more screen time. The relationship played out between Ralph (Giamatti), a Disney limo driver, and Travers in particular could satisfyingly fill its own film, so endearing is the odd couple chemistry between the two. Colin Farrell, playing Travers’ father in scenes from the author’s childhood, puts in a performance both heartwarming and heartbreaking - one of the actor’s very best. It becomes clear fairly quickly that characters within Mary Poppins and elements of Travers’ own life are inseparably linked, which means Saving Mr. Banks regularly touches on similar themes to those found in the earlier film. It’s to the credit of Hancock as director, working from Sue Smith and Kelly Marcel’s accomplished screenplay, that his film never feels as though it is merely mooching off the success of one of Disney’s most beloved family favourites. Saving Mr. Banks is a delicate blend of loving tribute, dramatised “making of”, and brilliantly realised companion piece to Mary Poppins, as well as a comprehensively joyous and expertly crafted piece of cinema in its own right.